FoxTales are a dynamic acoustic trio, made up of Gemma Goodey (Mandolin & Vocals) Kyle Tyther (Guitar & Vocals) David Blaize (Bass & Vocals). Specialising in three-part harmonies, we perform Bluegrass, Country, Folk, Rock'n'Roll, Trad & original songs! 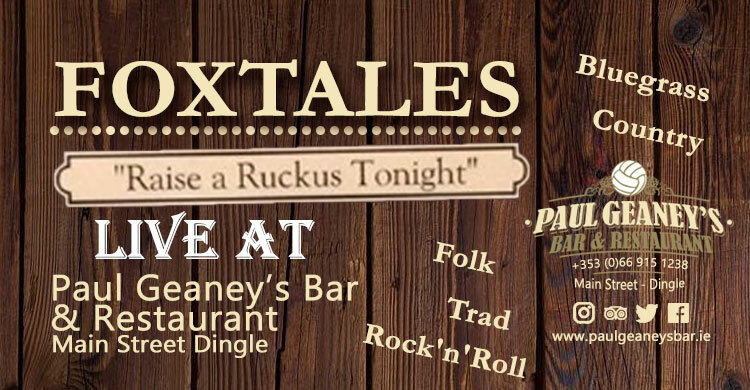 Foxtales on stage at Paul Geaney's Bar & Restaurant. 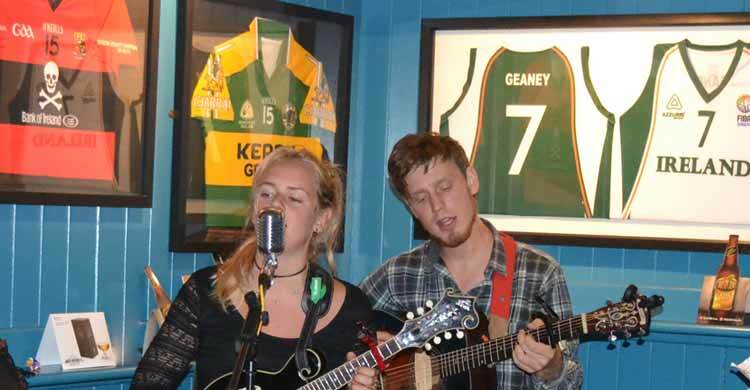 Gemma covers Dolly Parton's 'Jolene'.